STi stands for Subaru Technica International. It was founded in 1998 by Subaru to promote the company identity by participation in sporting events such as rallying and endurance record attempts. The Legacy was used to take several endurance records such as the 100,000km World Speed Record and in conjuction with Prodrive entered the World Rallying Championship. Up until the WRC rules, the Impreza 555 Group A cars were built by STi and then run by Prodrive. Since then the complete car has been designed, built and run from the Prodrive UK Banbury base. The STi version of the Impreza WRX is the standard WRX which has (theoretically;-) visited Subaru Technica International. Originally completed cars were taken from the end of the production line and modified by STi, but since September 1995 they have been built alongside the standard models to specifications and with parts outlined by STi. The engine benefits from a few tweeks such as being manufactured and assembled to higher tollerances (blueprinting) with some stronger and lighter items being used. The engine maximum rpm is extended to 8000rpm on the later models, but the gear box has slightly shorter ratios to compensate keeping maximum speed to around 145mph and a quick shift come as standard. A different ECU map, intercooler, inlet manifold, roller bearing turbo and exhaust allow the engine to produce a slight increase in torque over the WRX although maximum power remains the same. Suspension arms are replaced by alloy items, and a strut brace is added in the engine bay. Externally the car is badged by a red STi logo on the front grill which replaces the normal Pleiades one. The fog lights are also dropped in favour of two covers with large STi logos. The car has uprated suspension over the standard WRX. 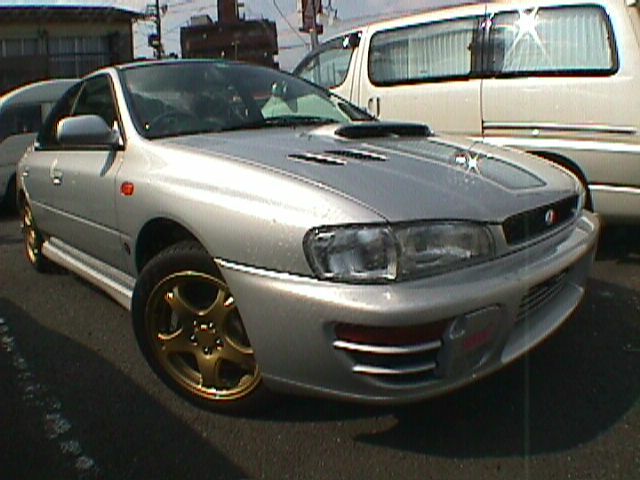 The development of the STi is similar to that of the UK car with the high spoiler seen on the UK MY99 introduced at the same time. It also had the front lip spoiler as standard from MY99 which was only available from Prodrive as a WR upgrade on the UK specification car. 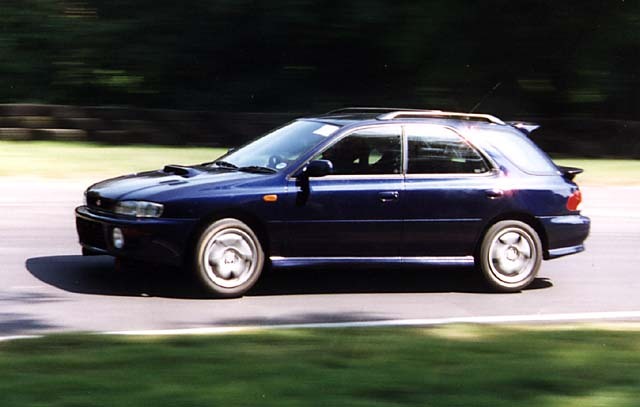 The 4 piston brakes introduced into the UK on the MY99 had been a feature on the STi much earlier. Colour coded side skirts were introduced on the MY98. 5 door STi v4 (driving light upgrade included). 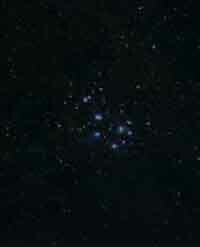 Thanks to Julian B. and Andy H. for the above info.